It's hard for investors not to get excited by the potential for medical marijuana and specifically cannabinoids (CBD) for the treatment of horrible afflictions such as Dravet's epilepsy. The UK's GW Pharmaceuticals (NASDAQ: GWPH) just concluded a randomised study in which 50% of the 120 participants were given its cannabinoid drug Epidolex and the balance in the control group. Seizures in the Epidolex group saw median monthly convulsive seizures drop significantly to 5.9 from 12.4. The control merely dropped to 14.1 from 14.9. The participants were children up to 18 years of age. While certainly not a panacea, the potential for CBD based therapies to replace dozens of seizure meds is one large step closer. Before Mandy McKnight's nine-year-old son Liam started taking cannabis oil to treat Dravet syndrome, he was having upwards of 80 seizures a day. Since starting treatment, his seizures have reduced by about 90 per cent. Some weeks he has none at all. "There are several myths permeating the marijuana space, particularly in Canada," states Gordon Fox, CEO of Emblem (TSX-V: EMC). "First, that there is sustained profitability in all of dried flower production and sale. Second, that the M&A market will be active with companies consolidating. Third, the derivative (edibles and concentrates) market will be the fastest growing aspect of the sector. The fact is that lower quality dried flower will become a simple commodity with very slim margins. Second consolidating facilities will be a disaster given the growing complexities and the need for product consistency. Third, the Canadian Government has pretty much shut down the derivatives market setting maximum levels of THC in oils at 30mg per ml and expressing opposition to the introduction of edibles and concentrates (waxes, shatters etc.) into the recreational market." Marijuana comes in two forms. The standard jar variety sold by an obvious aficionado and the higher end strains that unlike the lower end product is consistent and predictable with the desired effect every time. Note here we are merely talking about the recreational. Medicinal has its own set of characteristics. Success, as with scotch, wine etc., depends on consistency. If you walk into a marijuana establishment looking for Jack Herer, you want to know that like your scotch or wine, the consistency is the same as last week and will be next week. With $32 million and no debt, Emblem's business plan has evolved into a unique combination of maximising margins and an almost 'Six Sigma' approach to growing top quality product to maintain consistency. The Company believes that within a year, the margins at the low end will be single digit if any at all and at the high end a minimum of 25%. Daily it seems we read that some group or another has secured some massive piece of land and/or greenhouse facilities that are several hundred thousand square feet. And they have two or more in different locations, possibly provinces apart. Emblem (TSX-V: EMC) has decided that ultimately it will have three identical 100,000 sq. 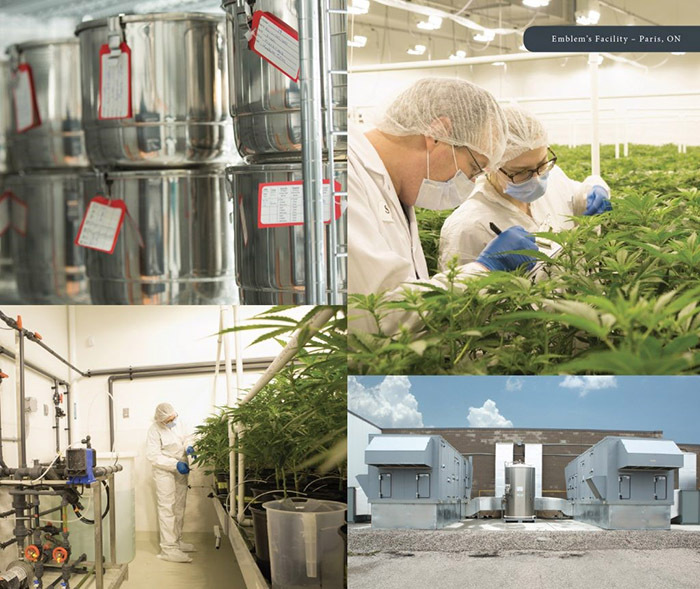 ft. 'closed box' facilities with one grow teams expanding across a growing footprint. These state of the art facilities will ensure several things; quality of product, consistency and the ability, unlike those competitors with massive randomly placed facilities, to move crews from facility to facility where all processes will be exactly the same and staff trained up from day one. Fox continues; "Management knows we will make some mistakes as our aggressive building plans unfold. We also know that they will be minor and likely non-recurring. I suspect those companies with massive greenhouses will make a lot more mistakes at the cost of quality and consistency, which is our number one mandate. We believe this focus on strict process and ultimately risk aversion will be critical to our expected growth and planned profitability in 2018." Let's talk medical. 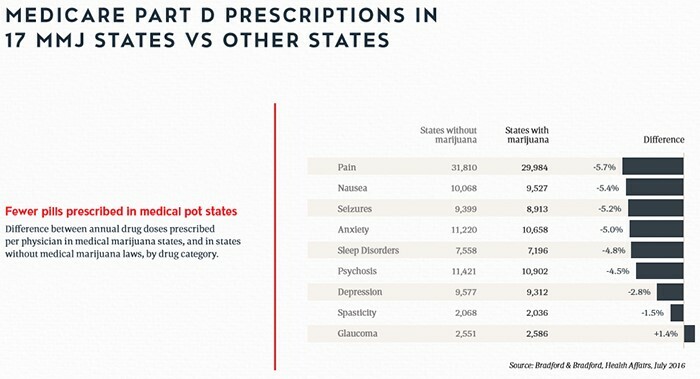 In the vein of GWPH (NASDAQ: GWPH), arguably the most successful public marijuana pharma company and the large private pharma company Purdue Pharma: The past President and CEO of Purdue is John Stewart, now CEO of Emblem Pharmaceutical. 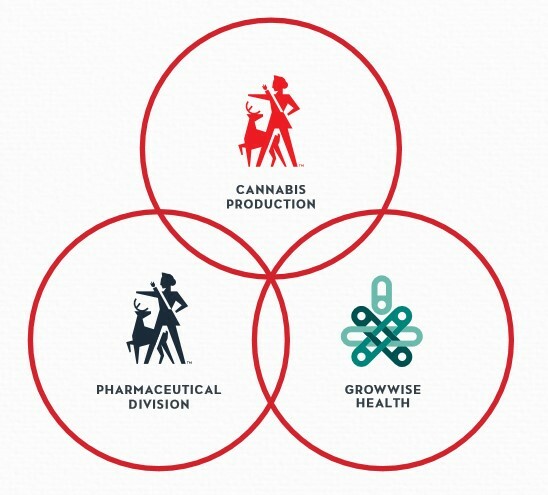 It is one of three divisions along with Emblem Cannabis and GrowWise Health, the physician and patient cannabis education group. Several million dollars has already been invested in the Pharma division to research marijuana drug candidates and potential new drugs. Over time the Pharm division will be the largest and most profitable at Emblem (TSX-V: EMC). The Company intends to initially bring drugs to market that will address neuropathic pain, anxiety and sleep. It intends to lead the industry in consistent dosage cannabinoid based pills and oils. Since smoking marijuana is not an ideal dosage format and each dose cannot be measured, a measured concentrate dose in a standard format would be rapidly accepted by the key pain, anxiety and sleep markets. Value add products such as sustained release and accelerated release formulations will materially increase product demand. We value the medical cannabis market based on a DCF model, using a 16.0% WACC and 3.0% terminal growth: the higher-risk rec opportunity is valued using a probability- weighted NPV. Despite the miss, our target price remains C$3.80 as Emblem's projected peak capacity and pharmaceutical strategy remains intact. Our target represents a 55.1% projected annualized return and supports our SPECULATIVE BUY rating. Based on this slower revenue ramp, we have lowered our 2017 top-line estimate from $10.8 million to $9.1 million. With higher initial production costs forecast for this year, our adjusted EBITDA estimate falls from $1.1 million to ($0.2 million). However, our longer-term forecasts are unchanged and our target price for Emblem therefore remains C$3.80. In about a year, give or take, there will be a number of crash and burns in the MMJ space. Primarily in the dried flower sector, but also in the pharma and related hemp products as company have insufficient funds, subscribe to the myths above or get taken over for parts. With large companies like GWPH already having two drugs approved, one in over 30 countries, Emblem's approach seems to make sense, especially when reality whacks the ill-prepared competition. The five analysts that cover Emblem (TSX-V: EMC) all have targets around $4 a share with the current price at $1.72. Smooth ride? Likely volatile as it hit $6 and change just after IPO. With any new sector mistakes will be made and the learning curve steep. Waiting too long to gain some exposure appears equally risky. Legal Disclaimer/Disclosure: This document is not and should not be construed as an offer to sell or the solicitation of an offer to purchase or subscribe for any investment. No information in this Report should be construed as individualized investment advice. A licensed financial advisor should be consulted prior to making any investment decision. We make no guarantee, representation or warranty and accept no responsibility or liability as to its accuracy or completeness. Baystreet.ca assumes no warranty, liability or guarantee for the current relevance, correctness or completeness of any information provided within this Report and will not be held liable for the consequence of reliance upon any opinion or statement contained herein or any omission. Baystreet.ca has been compensated four thousand dollars for its efforts in presenting the EMC profile on its web site and distributing it to its database of subscribers. Furthermore, we assume no liability for any direct or indirect loss or damage or, in particular, for lost profit, which you may incur as a result of the use and existence of the information, provided within this Report.